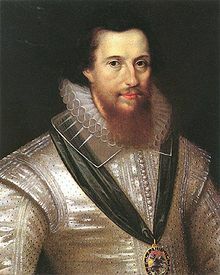 On 25th February 1601, Robert Devereux, 2nd Earl of Essex and one-time Viceroy of Ireland, was executed at the Tower of London. The thirty-five year old Earl had been condemned for treason, following a wild dash through the streets of London, with some 300 hundred men, in an attempt to raise the citizens against the Government. Essex had been convicted by a jury of his peers, including his sister, Penelope’s, husband, Lord Rich, and many former friends and colleagues. In retrospect, it is very difficult to understand what Essex hoped to achieve by this most disorganised and futile of insurrections, but although Elizabeth I had been reluctant to sign the death warrant, and had torn up a first copy, ultimately there could be no remission for a man who created trouble wherever he went. At his trial Essex claimed that he was a loyal subject of the Queen, and that his only intention had been to rid her of her ‘evil counsellors’, a favourite mediaeval excuse for rebellion that had often been used to hide attempts on the throne. However, it is difficult to imagine that Essex was making a serious bid for the Crown himself, unless he were so confident of public support that he believed he would be enthroned by popular acclamation. Although, like almost all of Elizabeth’s councillors and courtiers, he had royal blood, there were many far nearer to the throne than he. Sally Varlow, biographer of his sister, Penelope Devereux, seems convinced that Essex was in fact, the illegitimate great-grandson of Henry VIII, but even if this were true (in our view a highly dubious claim) there would still be all of the Carey and Knollys men ahead of him in the queue. 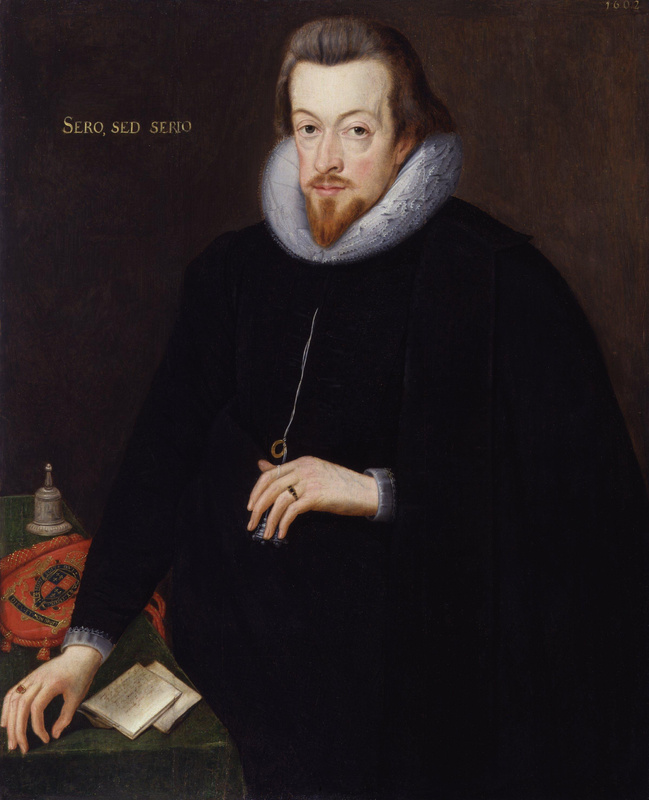 We are left then with taking Essex at his word that he wanted to rid the Queen of evil counsellors, by whom we must infer Sir Robert Cecil, who had taken the place of Elizabeth’s closest advisor for forty years, his father, Sir William Cecil, Lord Burghley. Essex and Cecil had a long history. On the death of Essex’ father, he had confided his son to the care of William Cecil, and the two boys shared a schoolroom. They were of similar age, and bore the same Christian name, but, other than in the matter of overweening ambition, do not seem to have shared any other characteristics. Cecil was not a robust man, and he probably suffered from scoliosis – Elizabethans were less careful of giving offence than we are, and his physical disabilities were often laughed at. Nevertheless, he was a thinker, an administrator and a diligent man of detail. He gathered information, wrote letters and reports, weighed details and never dreamed of being a court gallant. Essex, on the other hand, was a handsome, flamboyant, physically brave and charismatic presence. He led men in battle, braved the high seas and demanded Elizabeth’s attention. The two were never going to see eye to eye. Elizabeth needed both types of advisor and, although she seems to have been personally drawn to the swashbuckling hero type that Essex represented, she valued the careful industry of Cecil. Essex’ star first rose in the aftermath of the Armada, when he stepped into the roles previously held by his stepfather, Robert Dudley, Earl of Leicester. He became Elizabeth's Master of Horse, a role that necessitated regular, frequent contact with her. Elizabeth was aged 55 in the year of the Armada and Essex around 23. Nevertheless, they rode together, played cards, danced, talked and quarrelled. She treated him both as a son, and also as a suitor. 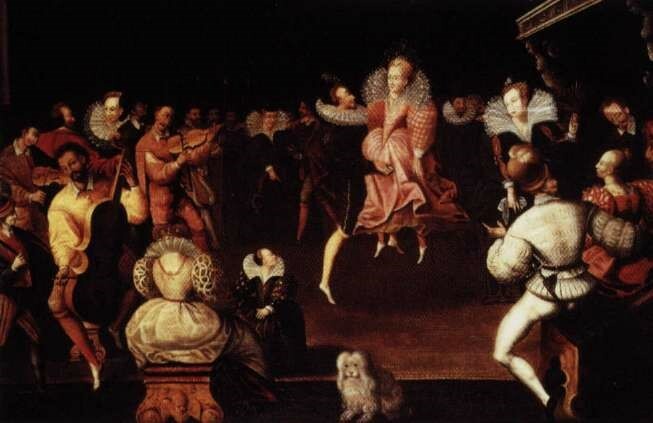 The hyperbolic conventions of courtly love, especially as played out by a couple with such a disparity of age, seem faintly distasteful to modern ears, but we should bear in mind that for Elizabeth, this trope was a way of emphasising her role as the all-powerful ‘mistress’, in a way that was culturally acceptable in a society that saw women as essentially inferior. For more on this, we recommend Susan Doran’s excellent ‘Elizabeth I and her Circle’. Elizabeth may have been vain, but she was not stupid, and she is unlikely to have really believed that all her male courtiers were in love with her. Essex, young, and of a rash and impetuous character, expected the Queen to favour him to the exclusion of all others, but Elizabeth was having none of it. He might be the most attractive man at court, but there were plenty of other talented contenders for her favour, such as Sir Walter Raleigh or the Earl of Southampton, as well as the more sober Cecil. Initially, Essex seems to have been on good terms with Cecil and Raleigh – interceding with Elizabeth when she and Cecil had a misunderstanding, and being of one mind with Raleigh on the French campaign in 1591, but as time progressed, friction and jealousy arose.